A sudden change is coming to the DC Cinematic Universe after Warner Bros. executives saw an early cut of Batman V. Superman: Dawn of Justice. The small group of execs were so impressed with the film that they give it a standing ovation, according to company insiders, reported Den of Geek. The group now wants to plan the future movies in the DC universe around Ben Affleck’s Dark Knight character, locking Affleck in for a decade or so. Much of the applause was for Affleck’s performance, prompting the executives to try to secure Affleck for three stand-alone Batman films. Batman V. Superman will feature Affleck taking over the Batman role from Christian Bale after Bale’s successful stint with the character. Superman will be played by Henry Cavill, who already had his standalone film Man of Steel in 2013. Cavill, Affleck, Gal Gadot (Wonder Woman), Jason Momoa (Aquaman), Amy Adams (Lois Lane), and several other DC universe stars are slated to star in two Justice League movies, coming out in 2017 and 2019, but it appears Affleck would also have three additional movies as the Dark Knight if the new plans appeal to him. No other reports have added direct info as of yet, but Deadline did report on Friday that two non-Batman Affleck movies have had their release dates pushed back. 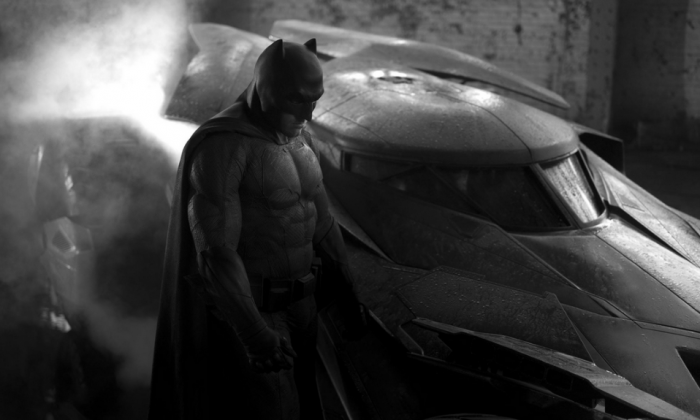 Batman V. Superman is slated to hit theaters on March 26, 2016.